featuring the author Paul Garner and panellists Victor Bulmer Thomas and Robert Woothorpe Browne. 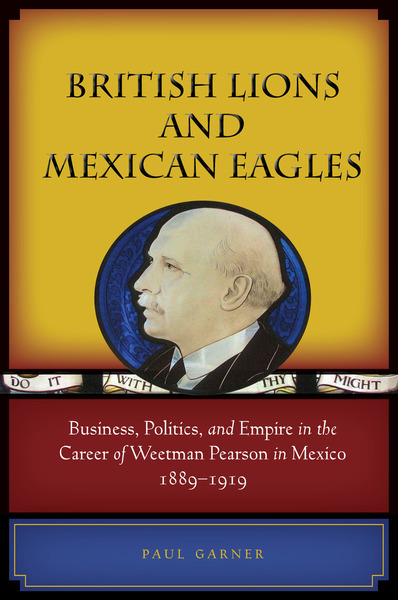 The MexCC proudly invites you the presentation and panel discussion of “British Lions and Mexican Eagles: Business, Politics and Empire in the Carreer of Whitman Pearson in Mexico 1889 – 1919” featuring the author Paul Garner, and panellists Victor Bulmer-Thomas and Robert Woodthorpe Browne. Between 1889 and 1919, Weetman Pearson became one of the world's most important engineering contractors, a pioneer in the international oil industry, and one of Britain's wealthiest men. At the center of his global business empire were his interests in Mexico. Our panel of renowned experts in Latin American history, politics and economy, and international affairs, trade and investments will reflect and discuss Pearson’s extraordinary success in Mexico, how the new interests of Britain to increase trade and investment with Mexico, coupled with the current modernisation reforms taking place in Mexico may contribute for the expansion of British businesses and entrepreneurs into Mexico and how Pearson may well serve as a role model and example of what may be accomplished by British businesses that realise their potential while doing business and contributing to the growth and development of Mexico. Exclusive event for members of the MexCC and students of the London Business School. Admittance of non-members subject to availability.